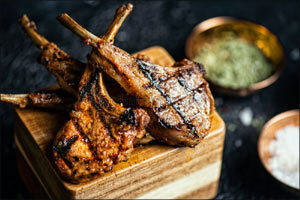 Dubai, UAE, December 20, 2018: DOORS freestyle grill will be serving a special 4-course festive menu from 24th December till 1st January, featuring some of the most celebrated dishes like Beef sushi, Lamb chops, Beef kaymak and Eden garden by Chef Kemal. There is nothing like ringing in the New Year with a spectacular display of fireworks at Al Seef. Dine at DOORS freestyle grill while watching the fireworks that promise to light up the sky. Guests can enjoy the restaurant’s elegance indoor or may choose to dine alfresco enjoying the chills.